Ever wonder why militant groups behave in different ways? For instance, what compels organizations that target civilians versus those that avoid them? Why do some organizations brag on social media about their attacks, while others deny responsibility altogether? If you grapple with these types of questions, bring them to an expert! 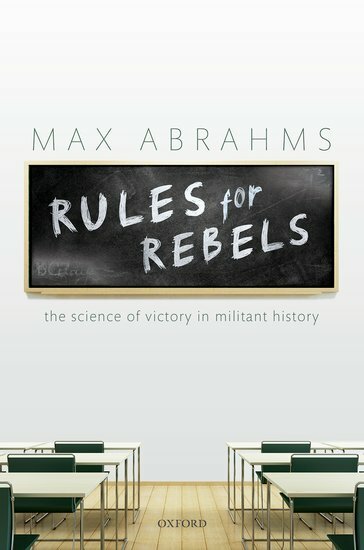 Dr. Max Abrahms will be leading WorldBoston's November Chat & Chowder to highlight his newest book and answer your questions about the science behind military victories. Dr. Max Abrahms is among the world's leading experts on the subject of terrorism. He is currently an assistant professor of political science at Northeastern University, an affiliate at the Global Resilience Institute, a term member at the Council on Foreign Relations, and a board member on the journal Terrorism and Political Violence. Dr. Abrahms has published in a variety of the leading scholarly journals.